Boddingtons Professional Koi Pellets are fully balanced Food for your Koi, with beneficial ingredients for health, fast growth & colour enhancement. Contains palatable ingredients for maximum digestibility and Vitamins to aid fish at times of stress. 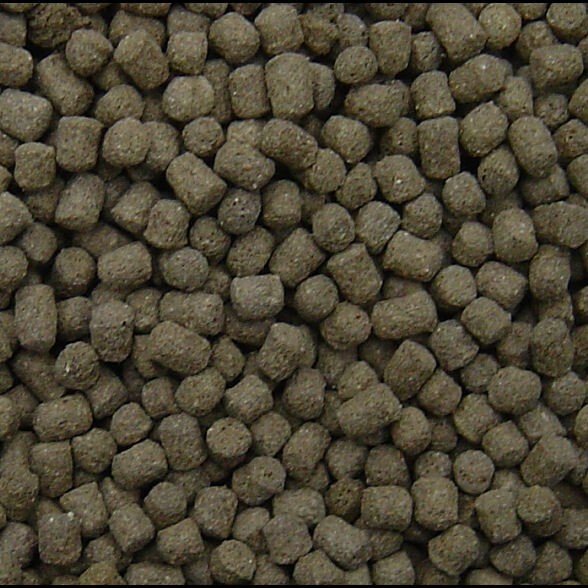 Fully floating pellets suitable for feeding at all temperatures and formulated for low waste output. Ingredients Include: Toasted Soya Extract, Sodium Propionate, Fish & Shrimp Meal, H.Feather Meal, Sunflower Meal, Prawn Meal, Spirulina, Glucans, Fish Oil, Wheat Feed, Wheat, Astaxanthin, Vitamins & Minerals. Here at Boddington Koi we pride ourselves on being the ultimate provider of high quality Fish Foods at sensible prices. By selling our food loose, in clear food grade polythene bags, we are able to keep the cost of our food at prices considerably lower than those purchased in Tubs and Foil Bags. All our Foods are stored to ensure that they remain fresh at all times, and due to the volume of food supplied to our customers on a daily basis we can guarantee that the quality of our food is second to none.